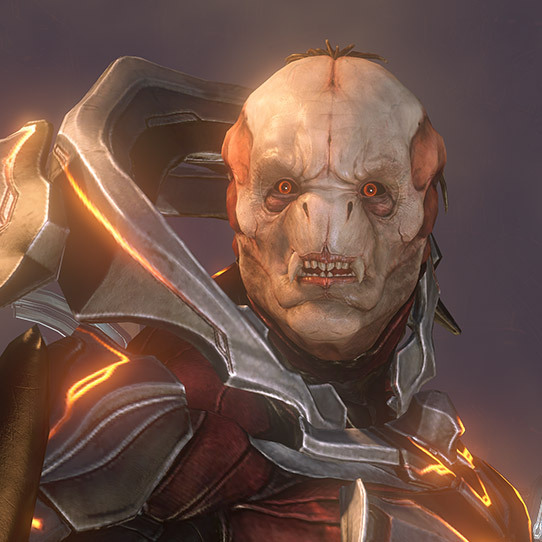 An ancient Forerunner commander, the Didact (also called the Ur-Didact) was once the victim of a political conflict with another sect of Forerunners. Forced into a Cryptum, he was later awakened only to be abandoned in a Flood-infested system where he encountered the Gravemind. This event ultimately turned him from warrior champion to heartless monster—leading him to using the Composer against innocent humans, transforming them into machine warriors called Promethean Knights. He was unwillingly forced back into another Cryptum by his wife, the Librarian, in hopes that meditation would amend his motives. However, his return one hundred thousand years later only served to revive his long-dormant hatred of humans. The Didact, was born as Shadow-of-Sundered-Star, and rose to an incredibly high status within the Forerunner society. For over twelve thousand years, he was known as “Protector of Ecumene”, and led the Warrior-Servant rate, commanding the elite Warrior-Servant class known as the Prometheans. As the general of the entire Forerunner military, he fought to uphold his devout belief in the Mantle, which dictated the Forerunner nature to protect and steward life in the galaxy. This also led to his heavy initial opposition to the Halo Array, considering it a crime against the Mantle. During the Human-Forerunner wars over one hundred millennia ago, the Didact led the Forerunners against humanity. 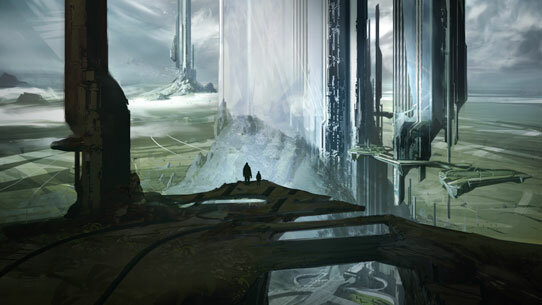 During the protracted conflict, the Didact’s forces came across thousands of planets infected by the Flood. 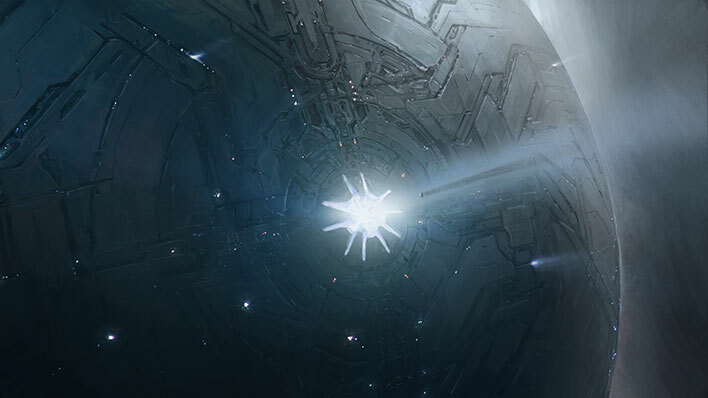 While the Forerunners were initially successful at sterilizing these initial affected worlds, it was only the beginning of their fight against the parasite. With humanity weakened from fighting on two fronts, the Forerunners emerged victorious. As a punishment for their crimes, humanity was devolved and quarantined on their home planet of Erde-Tyrene—now known as Earth. In the final days of the Forerunner-Flood War, the Didact was able to effectively exist as two distinct but connected individuals. 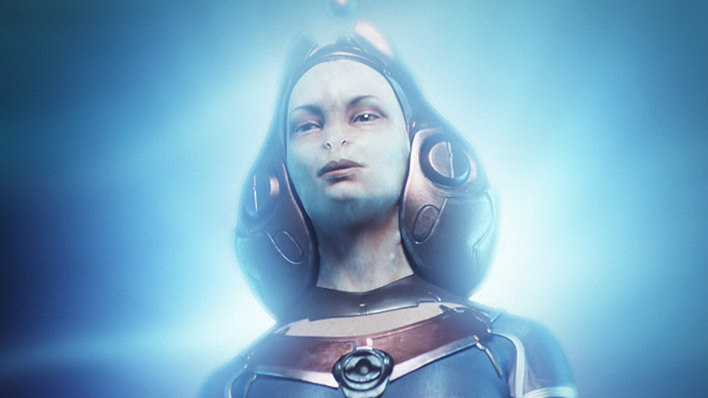 This was accomplished as he imprinted his essence onto a young Forerunner manipular known as Bornstellar-Makes-Eternal-Lasting in a process called a “brevet mutation.” To distinguish between the two incarnations, Shadow-of-Sundered-Star became known as the Ur-Didact, while Bornstellar-Makes-Eternal-Lasting became the IsoDidact. The Ur-Didact was eventually exiled to his shield world of Requiem and held in stasis under the direction of the Librarian. 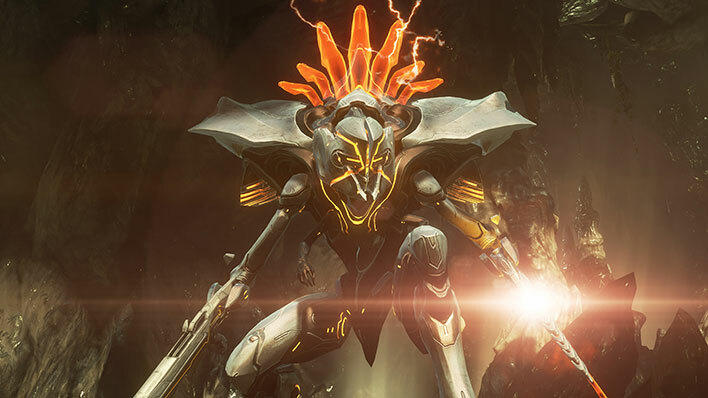 The IsoDidact continued to serve throughout the final days of the Forerunner-Flood war until finally making the fateful decision to activate the Halo Array. In 2557, the Didact was inadvertently awakened by the Master Chief. Upon emerging from his Cryptum, the Didact reassumed control of his Prometheans Knights. Soon after he allowed local Covenant forces – led by Jul 'Mdama's – to join his ranks, giving him greater numbers to carry out his intentions. Ignoring the plan the Librarian had set out for him, he deemed humanity unworthy to assume the Mantle of Responsibility. He quickly made plans to acquire the Composer once again and fulfill the plans he had laid 100,000 years earlier. Only the Master Chief’s heroic efforts and Cortana’s ultimate sacrifice were able to save humanity from certain doom. 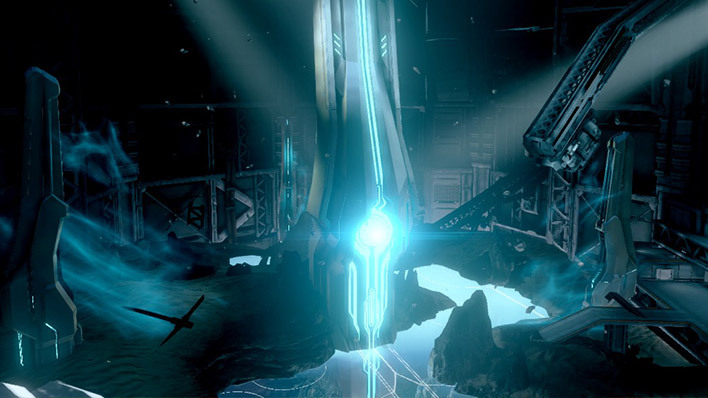 After his battle with the Master Chief during the New Phoenix Incident, the Didact fell into a slipspace rift generated by his flagship, Mantle’s Approach, was transported Installation 03 (Gamma Halo). Shortly after his arrival on the ring, he encountered Spartan Black Team, who was conducting classified reconnaissance operations on the Halo. Caught unprepared, the team was no match for the Didact, and all four Spartans were killed in the engagement. Soon after, the Didact was approached by 859 Static Carillon, monitor of the Composer's Forge. 859 had come to Installation 03 to investigate the activation of a service portal connecting the Halo to the Composer’s Forge. Eventually, the Didact bargained with the monitor to gain access to the Composer’s Forge so that he might assemble the Composers held there to strike back against humanity. Once again, the Didact was stopped by the Master Chief. However, this time the Master Chief found himself reunited with his fellow members of Blue Team, Spartan-II’s Fred-104, Kelly-087, and Linda-058. Though their battle with the Didact was perilous and proved nearly fatal, the Spartans were able to band together, and with the help of 859 Static Carillion they tricked the Didact into using the Composers on himself. Effectively turned into a digital essence, the Office of Naval Intelligence currently considers the Didact “contained”, though it remains to be seen if his threat to humanity is truly at an end. 100,000 years ago, the Forerunners dominated the galaxy. Then they vanished. 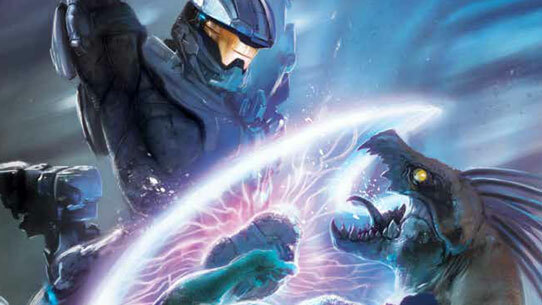 Halo: Cryptum is the first book in Greg Bear's Forerunner Saga. The fall of New Phoenix, Master Chief’s return to action, and a dark plot by the Office of Naval Intelligence—all in this volume of the comic series Halo: Escalation collecting issues #7–#12.